The new John Deere Gator RSX860i UTV is now available in Australia. 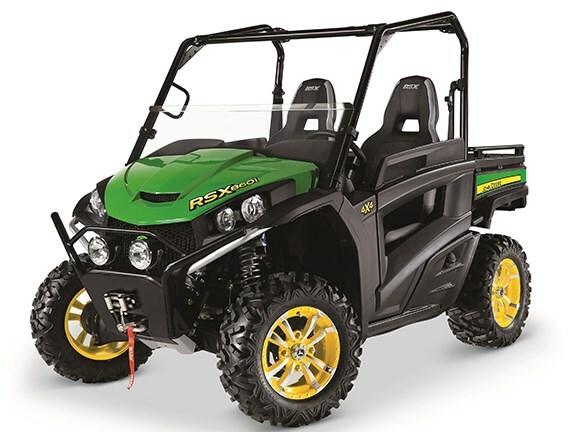 The RSX860i UTV is also available in traditional John Deere green and yellow. John Deere has just released the faster, more manoeuvrable Gator RSX860i UTV onto the Australian side-by-side market. It replaces the previous model RSX850i and includes updated features, such as a new power steering option and backlit toggle switches that are easier to operate, when working in low-light. John Deere Gator utility vehicles marketing manager Mark Davey says changes to increase the speed, add power steering and increase the warranty should earn the Gator a few more fans. "Every adjustment and addition made to the RSX860i comes as a result of our team actively listening to customer feedback," Davey says. "Top speed was one of the priorities we considered with these updates and we were able to increase the maximum speed to 97km/h." The maximum engine speed increased from 7,250 RPM to 7,750 RPM, allowing the RSX860i a 10 per cent increase in top speed over the previous model. Electric Power Assist Steering (EPAS) is now an option on the 2016 model. The anti-kickback feature reduces the amount of unwinding steering when operating through rough terrain. The system also adjusts the steering effort needed as the speed of the vehicle changes. All EPAS-equipped vehicles are pre-wired for a winch, which reduces install time, should you choose to have one put in. The front differential has been changed to a spiral bevel design for reduced noise. The helical design of this gear set is stronger and produces less vibration and noise compared to the straight cut gears used on many UTVs, according to John Deere. The steering knuckles and control arms are painted post-machining to prevent rust and discolouration. 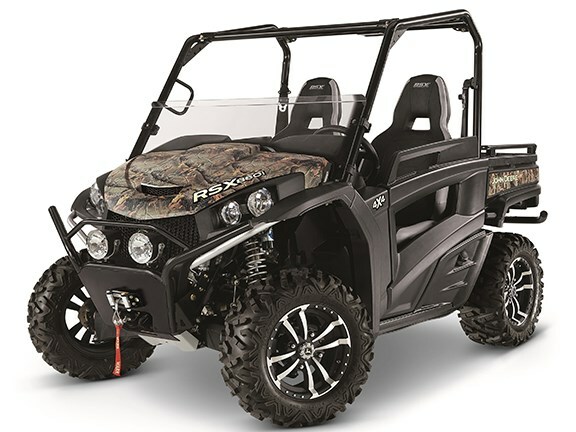 The RSX860i comes with a 12-month or 1000-hour factory warranty and is available in traditional John Deere green and yellow, olive and black, or Realtree Hardwoods HD Camouflage. 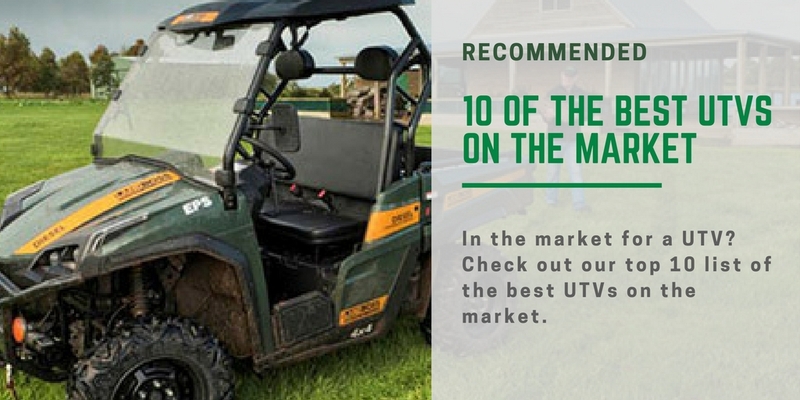 If you're looking for used UTVs for sale, check out our listings.